Been a while since the last post on the blog, I’ve been pretty busy planning my road trip to California for months. 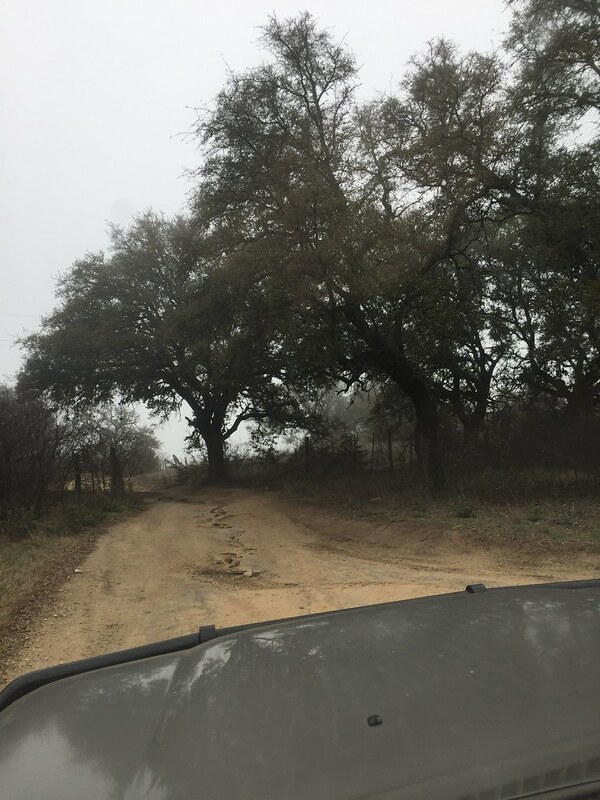 This isn’t the two day drive to LA on i10, but instead driving on off road trails and going off grid. It’s my first time doing anything like this, and Im excited and nervous. But living in the city, sometimes you just want to get away for the hustle and bustle. 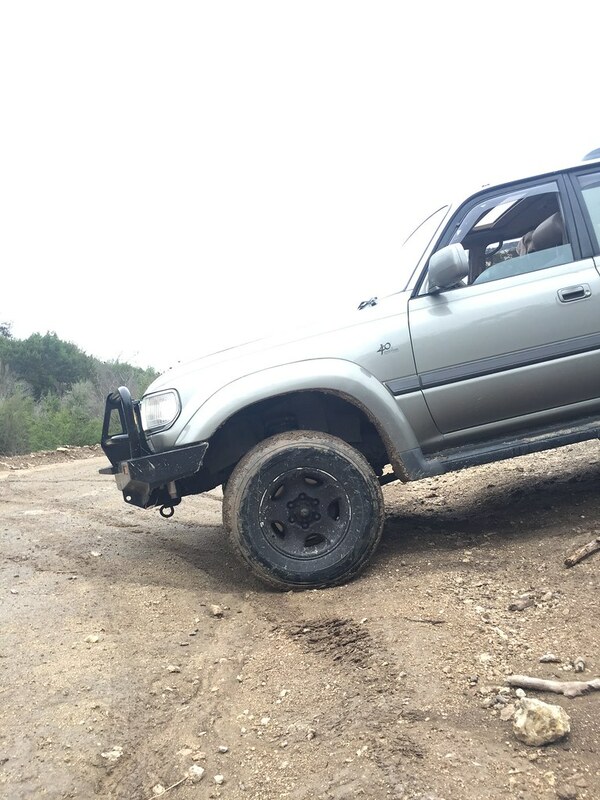 One of the first things I did was take the Land Cruiser to Hidden Falls Adventure park. 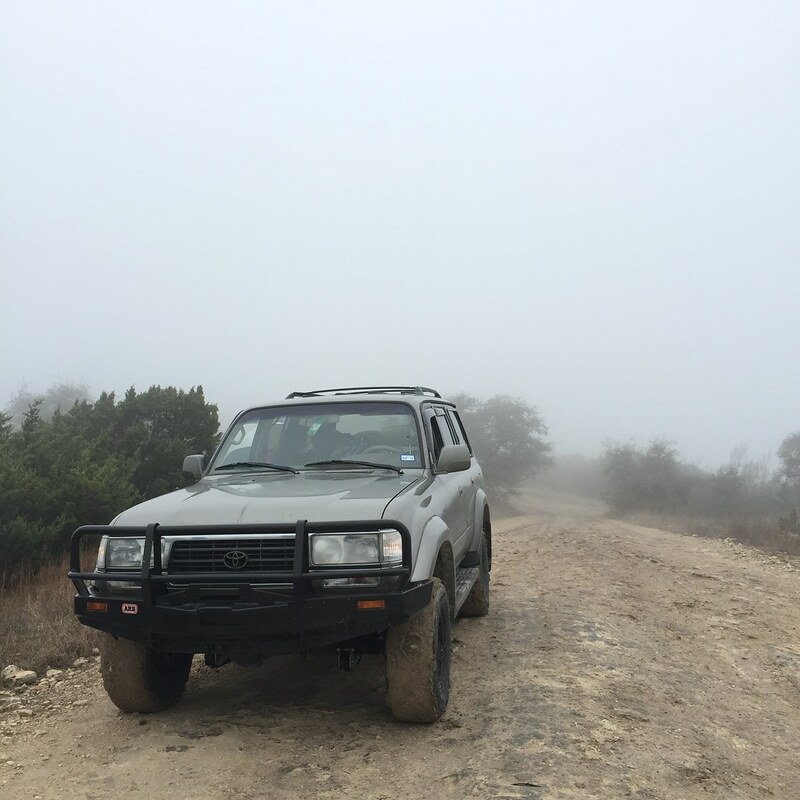 I wanted to get comfortable off roading, and see the capabilities of the Land Cruiser. I figured I should practice in a place where I could get help quick, instead of getting stuck in the middle of nowhere. Hidden Falls was pretty foggy when we went out, so we didn’t get to see the spectacular views. 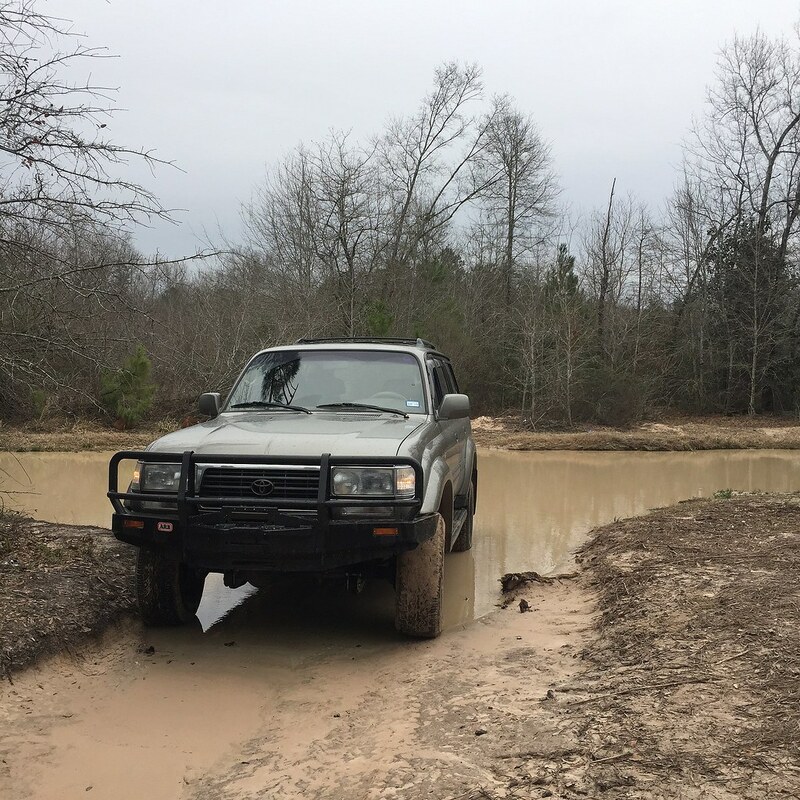 Watching YouTube off road tutorials made me more confident in driving off road and avoiding novice mistakes. 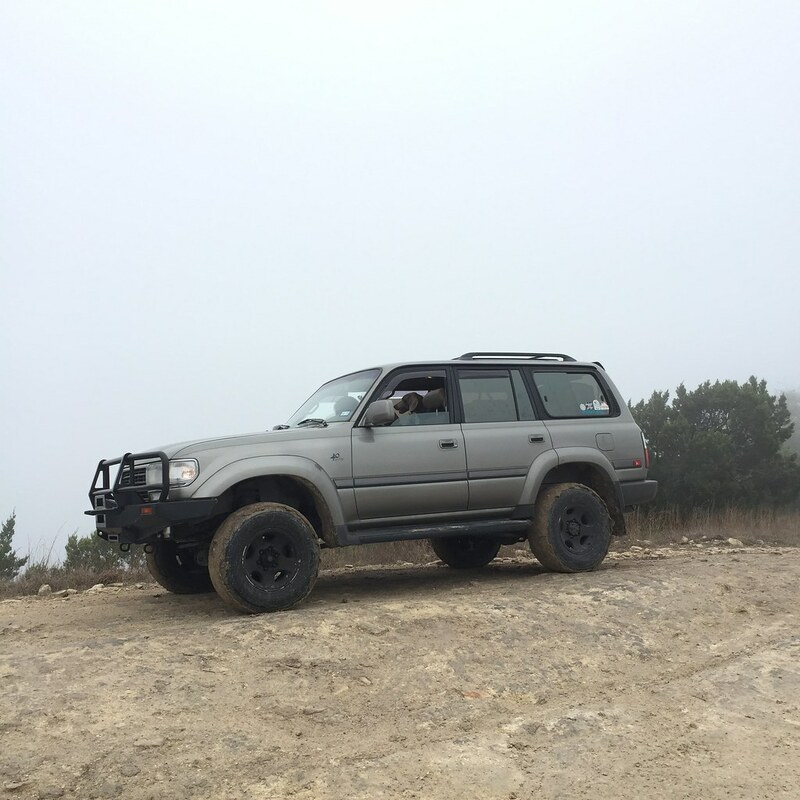 I didn’t air down, but the Land Cruiser didn’t have issues. The trails we took was level 1 to 3 out 5 rating. Im pretty sure those are the types of levels we will encounter off grid. 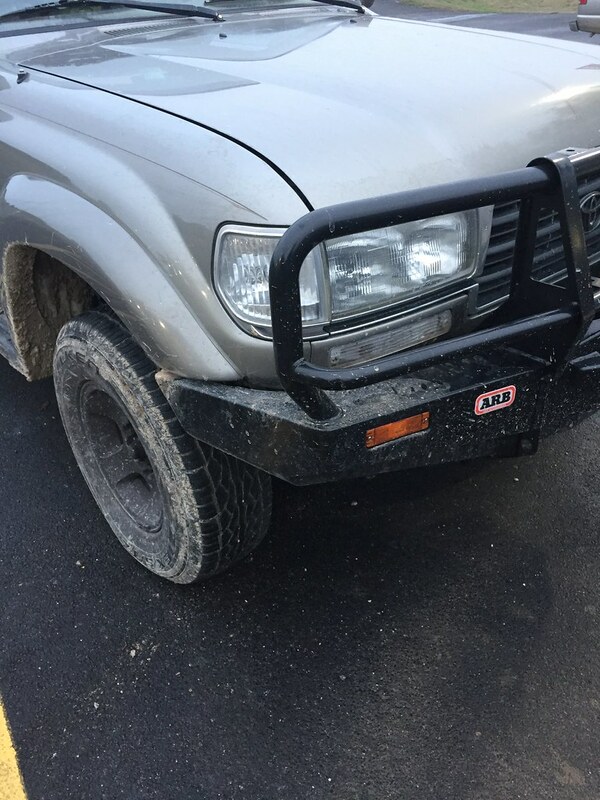 The ARB bumper gives and Land Cruiser a much better approach angle then the stock bumper. 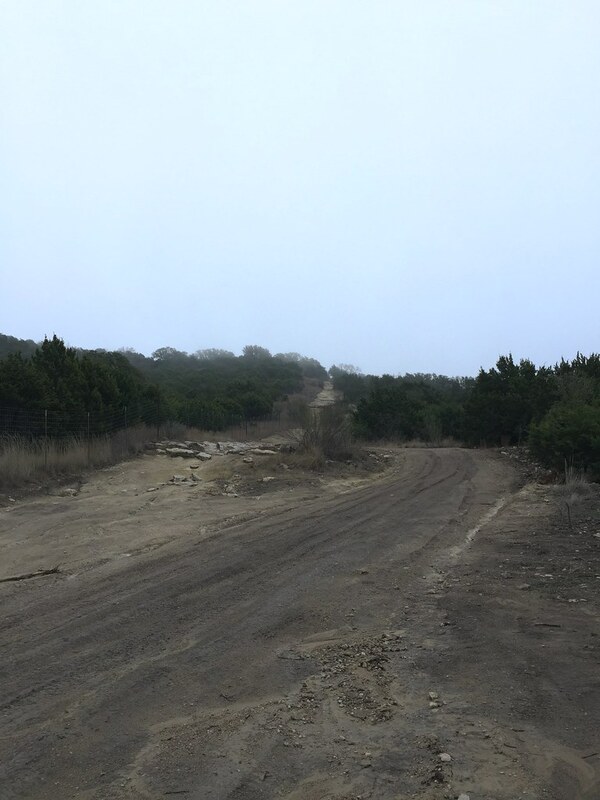 Off roading is much slower speed then track days, but its very technical and you get to see a part of world most people never see. Getting out there and just exploring your back yard can just be as rewarding as traveling Internationally. 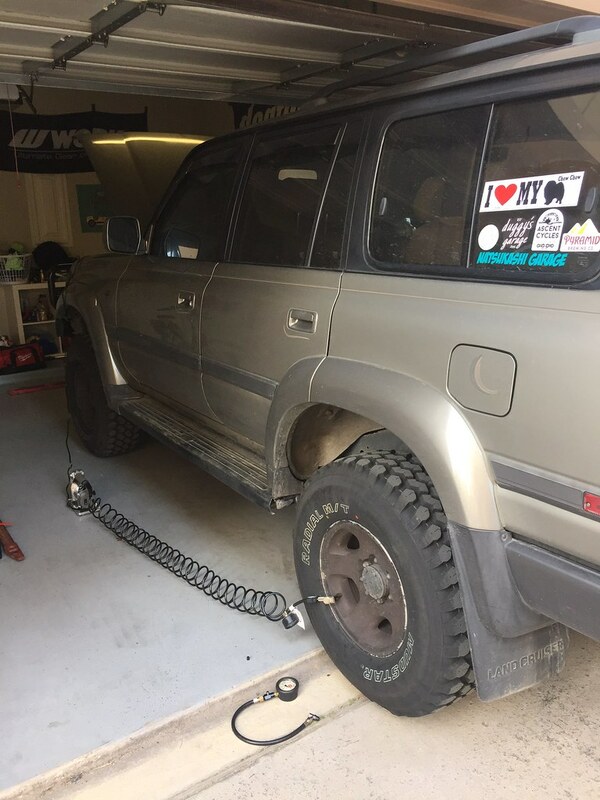 But, before I can plan a route, I have to make sure the Land Cruiser is ready for the 4000 mile adventure. 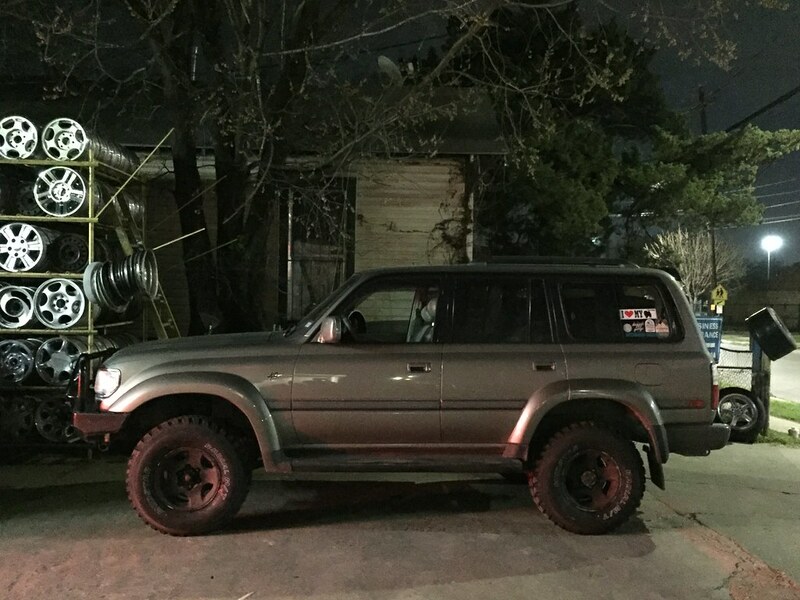 Since January, the Land Cruiser has gotten some mods and maintenance. 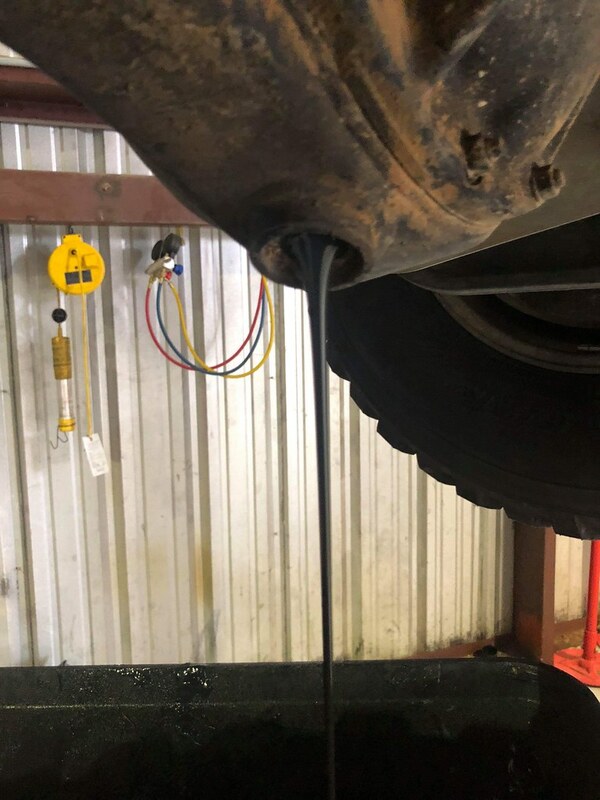 After the Hidden Falls off road trip, I knew the factory tires wasn’t going to cut it. 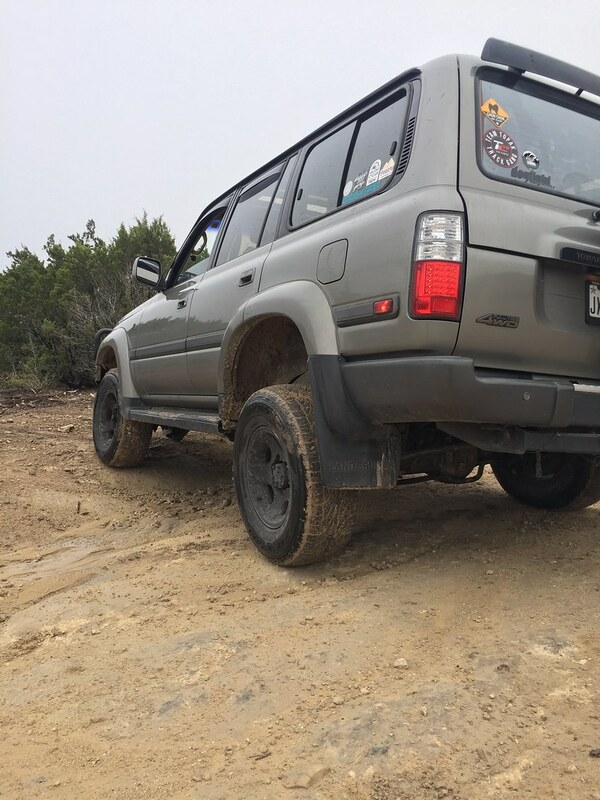 I ditched the factory 31″ street tires to Nankang M/T 33″ tires. I chose Nankang because its super cheap, and yet a capable off road tire. I paid $750 for 5 tires, which is considerably cheaper then other tire brands. The 8 ply tire will give me enough protection from the sharp desert rocks, and airing down. While the M/T will give me traction when it gets slippery off road. The 33″ size matches better with the 3″ OME lift. No more rolling on small tires! Next onthe list was buying self recovery gear. Its one of those things, I might not use but very glad to have if I do have to use it. I bought a used Hi-Lift jack for super cheap. Still works great and I like the old patina look. 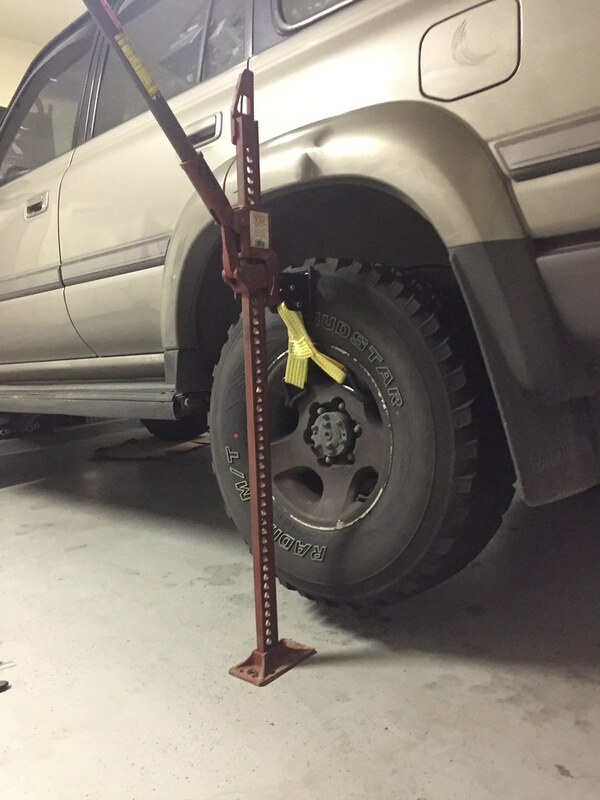 I bought a Hi Lift tire lift attachment, and makes it easy to add rocks or anything under the tire for traction. Just to make sure I can be self reliant on recovery I bought Max Trax style boards. Old technology in the modern world. 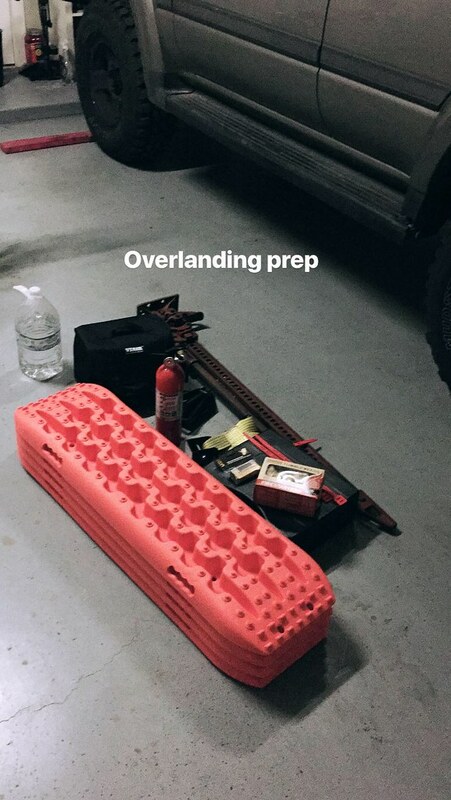 Also got extra jerry cans, fire extinguisher, and portable jumper box just in case of emergency. I want to prepare for the worst but hope for the best. Always a good idea to test out the gear make sure it works before heading out. The VIAR 300P air compressor hooks up the battery and it’s powerful enough to air up tires from 20 psi to 45psi. It not super fast like other bigger compressors but its good enough for my use. I really like how it come was a tire bleeder valve, and makes airing down easier. 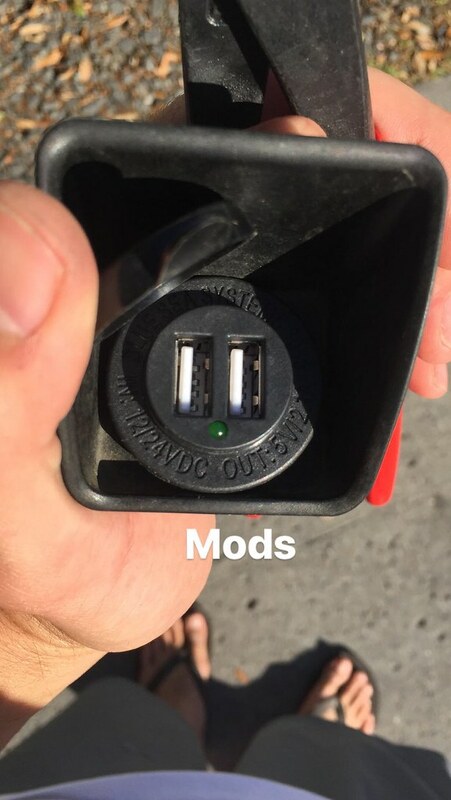 The mini fuse on the cigarette lighter went out, so I upgraded to a fast charging USD adapter. A more modern touch in a 90s era style. 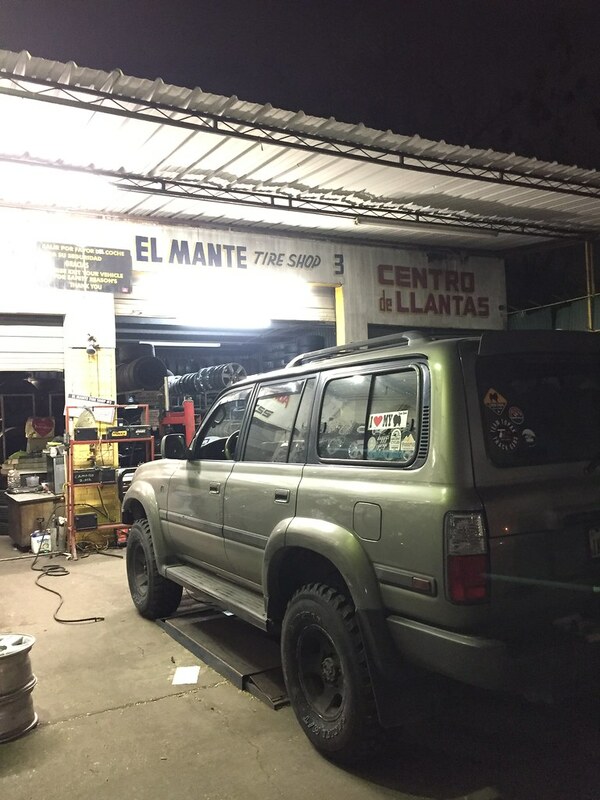 I went to Duggy’s Garage for a check up on the Land Cruiser and maintenance. 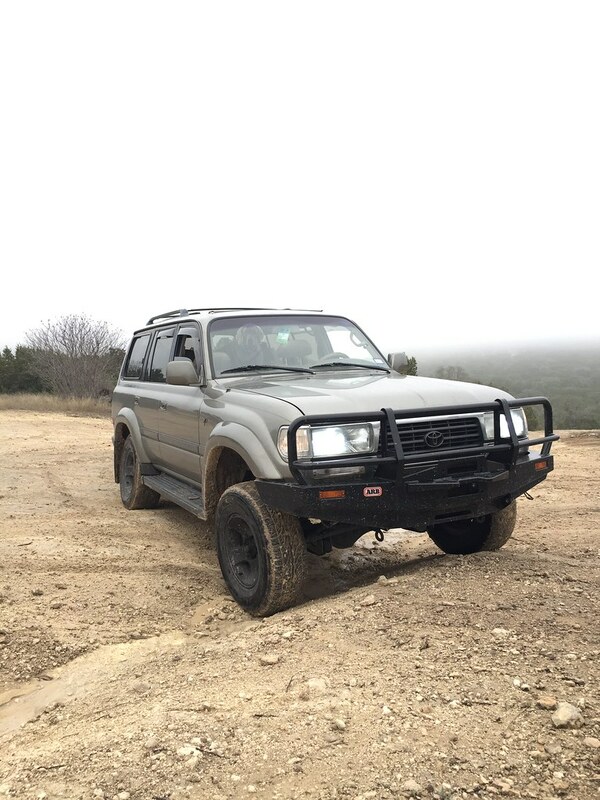 Everything check out great and had the Hi-Lift mount installed, updated the radio which has bluetooth and dvd functions, and drivetrain fluids flushed. That is pretty much it for now. 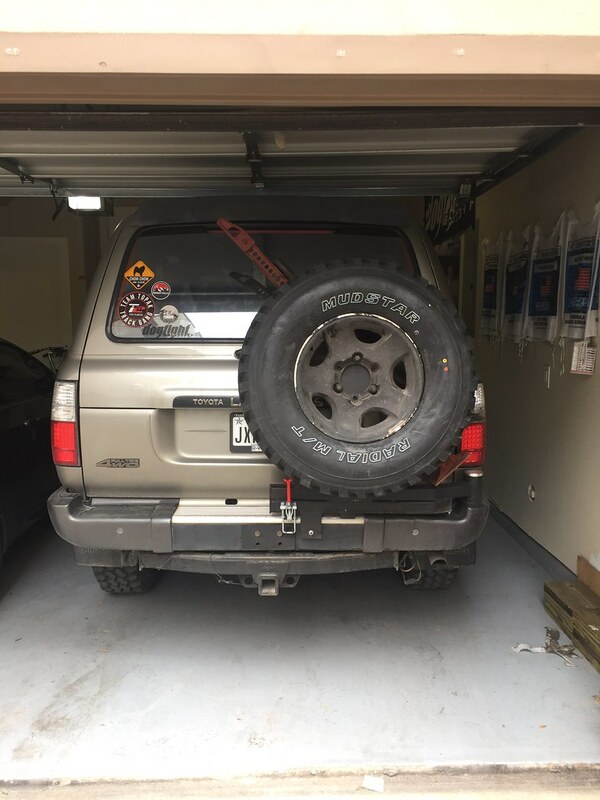 So, far the Land Cruiser is ready for the trip and hopefully everything goes well! All I got to do now is just finalize the route, and places to stay! !